Hot Tix offers half-price tickets to a wide variety of Chicago theatre productions for the current week as well as future performances. Our half-price tickets are available online or by visiting one of our outlet locations in downtown Chicago. A service of the non-profit League of Chicago Theatres, Hot Tix is unique to Chicago and has been serving Chicago theatres and audiences for 40 years. 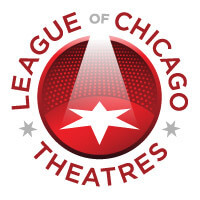 The League of Chicago Theatres is an alliance of theatres which leverages its collective strength to promote, support, and advocate for Chicago’s theatre industry locally, nationally, and internationally. The League is proud to serve a membership of more than 240 theatres, a rich and varied theatre community ranging from storefront, non-union theatres with budgets under $10,000 to major cultural centers with multi-million dollar shows. Hot Tix exists to further promote and support Chicago area theatres.